Preparing for the Spring Harvest! 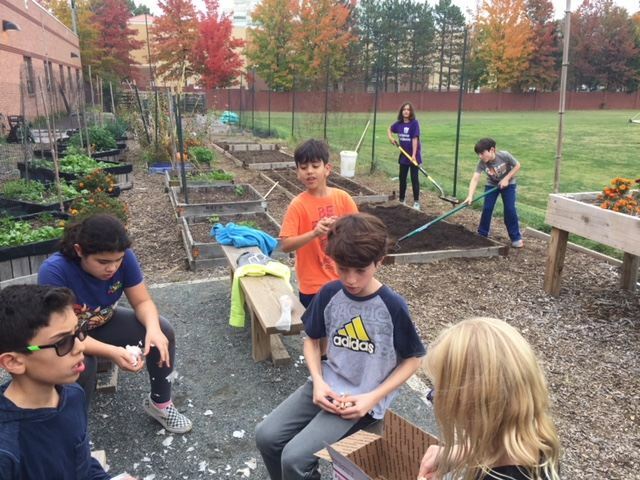 Blog by Mr. Misch: Students took time after school on Friday, November 3rd, to prepare the beds and get our spring garlic crop into the ground. Is it a coincidence that this crop goes into the ground close to October 31st? Ms. Maenner’s Kindergarten Class Visits the School Garden! 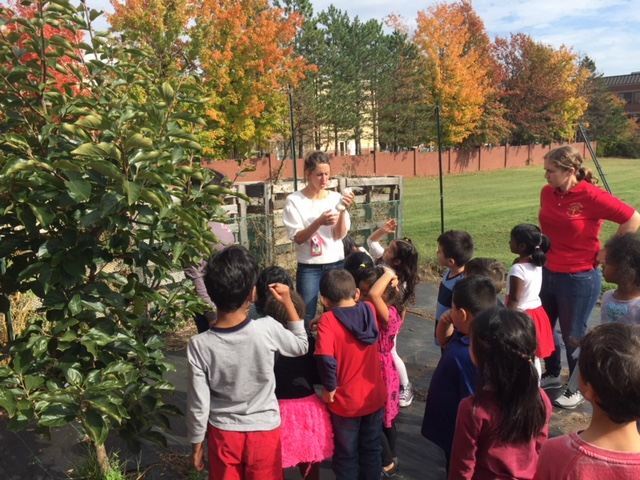 Blog by Mr. Misch: Ms. Maenner’s Kindergarten class visited the garden right after the persimmons were harvested to see the source of this wonderful fruit. One tiny tree produced at least 32 persimmons. We can’t wait to see how many fruits it grows next year. Persimmon Harvest from the School Garden! 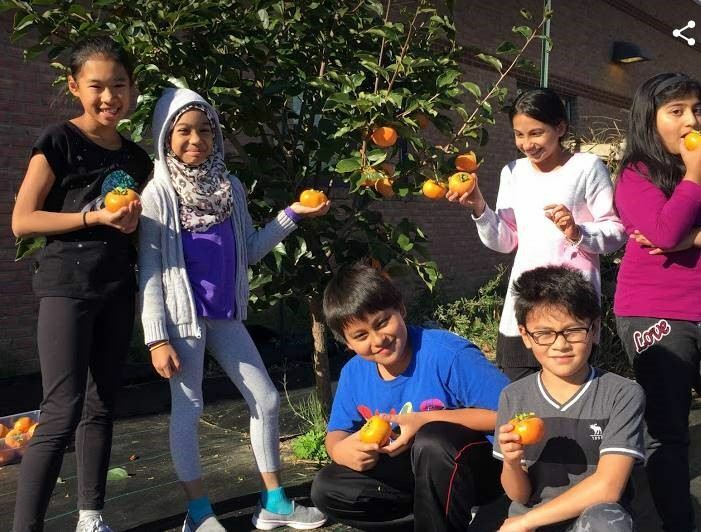 Blog by Mr. Misch: Today, October 31st, we harvested the last of the persimmons in the school garden. 32 persimmons to be exact. One for each classroom teacher in the building to share with her classroom. What a sweet, delicious fruit. Thank you persimmon tree, bees, sunshine, soil, and rain. 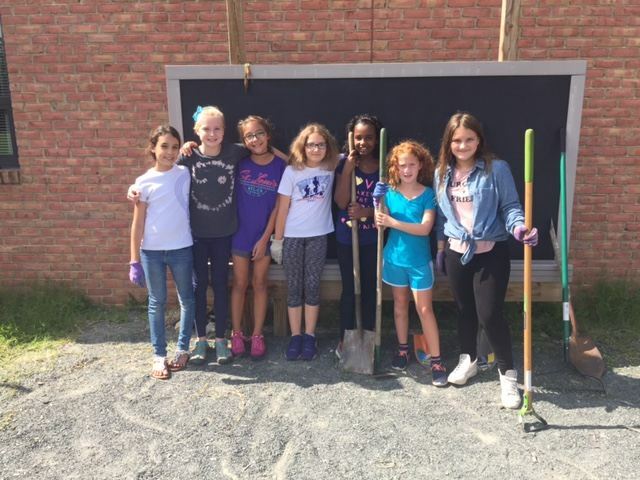 Blog by Mr. Misch: A hard-working, all-girl team of fifth graders has spent a great deal of time this week and last preparing the garden for fall planting. They have literally moved mountains of weeds. Raised Beds Ready in the Butterfly Garden! Blog by Mr. Misch: The raised beds for the butterfly garden are now in place. Only planting remains to be done. That will happen in the fall. 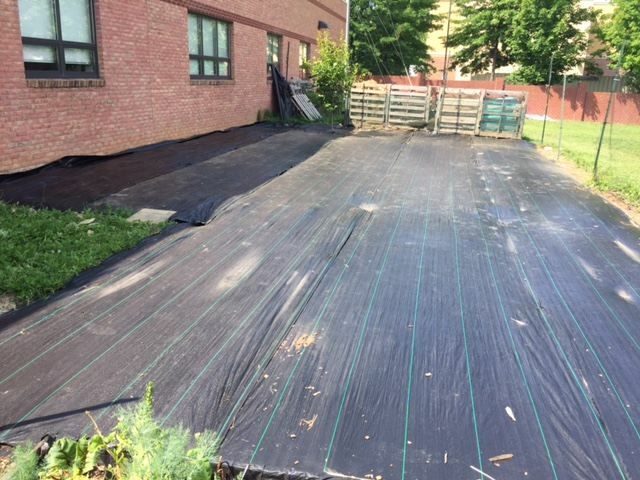 Blog by Mr. Misch: One step closer to a manageable butterfly garden. The landscaping fabric is now tacked down. 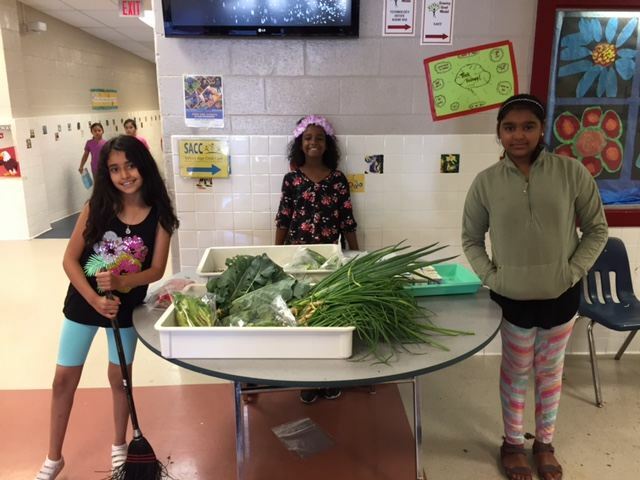 Blog by Mr. Misch: On June 9th, the Environmental Committee held the second farmer’s market of 2017. A variety of allium plants were on offer: green onions, garlic scapes, garlic bulbs, and scallions. Mrs. Nowak’s Class: Working on the Butterfly Garden! 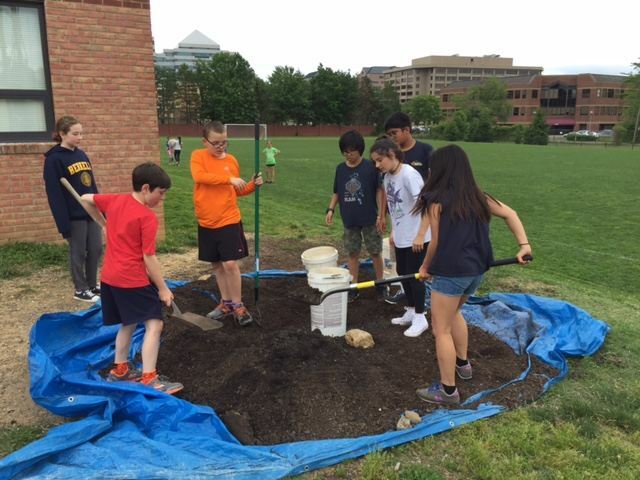 Blog by Mr. Misch: Mrs. Nowak’s class finished moving the composted soil for the butterfly garden today, Wednesday, June 7th. Teamwork works!